Muddy Waters was the single most important artist to emerge in post-war American blues. A peerless singer, a gifted songwriter, an able guitarist, and leader of one of the strongest bands in the genre (which became a proving ground for a number of musicians who would become legends in their own right), Waters absorbed the influences of rural blues from the Deep South and moved them uptown, injecting his music with a fierce, electric energy and helping pioneer the Chicago Blues style that would come to dominate the music through the 1950s, 60s, and '70s. The depth of Waters' influence on rock as well as blues is almost incalculable, and remarkably, he made some of his strongest and most vital recordings in the last five years of his life. Waters was born McKinley Morganfield, and historians argue about some details of his early life; while he often told reporters he was born in Rolling Fork, Mississippi on April 4, 1915, researchers have uncovered census records and personal documents that would pin the year of his birth at 1913 or 1914, and others have cited the place of his birth as Jug's Corner, a town in Mississippi's Issaquena County. What is certain is that Morganfield's mother died when he just three years old, and from then on he was raised on the Stovall Plantation in Clarksdale, Mississippi by his grandmother, Della Grant. 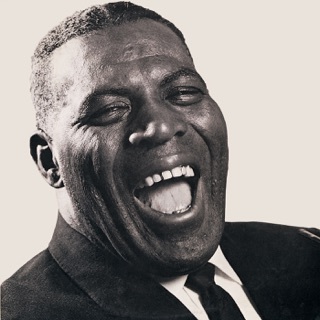 Grant is said to have given young Morganfield the nickname "Muddy" because he liked to play in the mud as a boy, and the name stuck, with "Water" and "Waters" being tacked on a few years later. The rural South was a hotbed for the blues in the '20s and 30s, and young Muddy became entranced with the music when he discovered a neighbor had a phonograph and records by the likes of Blind Lemon Jefferson, Lonnie Johnson, and Tampa Red. 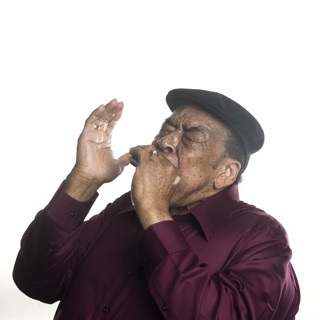 As Muddy became more deeply immersed in the blues, he took up the harmonica; he was performing locally at parties and fish fries by the age of 13, sometimes with guitarist Scott Bohanner, who lived and worked in Stovall. In his early teens, Muddy was introduced to the sound of contemporary Delta blues artists, such as Son House, Robert Johnson, and Charley Patton; their music inspired Waters to switch instruments, and he bought a guitar when he was 17, learning to play in the bottleneck style. Within a few years, he was performing on his own and with a local string band, the Son Simms Four; he also opened a juke joint on the Stovall grounds, where fellow sharecroppers could listen to music, enjoy a drink or a snack, and gamble. Waters became a fixture in Mississippi, performing with the likes of Big Joe Williams and Robert Nighthawk, and in the late summer of 1941, musical archivists Alan Lomax and John Work III arrived in Mississippi with a portable recording rig, eager to document local blues talent for the Library of Congress (it's said they were hoping to locate Robert Johnson, only to learn he had died three years earlier). Lomax and Work were strongly impressed with Waters, and recorded several sides of him performing in his juke joint; two of the songs were released as a 78, and when Waters received two copies of the single and $20 from Lomax, it encouraged him to seriously consider a professional career. In July 1943, Lomax returned to record more material with Waters; these early sessions with Lomax were collected on the album Down On Stovall's Plantation in 1966, and a 1994 reissue of the material, The Complete Plantation Recordings, won a Grammy award. In 1943, Waters decided to pull up stakes and relocate to Chicago, Illinois in hopes of making a living off his music. (He moved to St. Louis for a spell in 1940, but didn't care for it.) Waters drove a truck and worked at a paper plant by day, and at night struggled to make a name for himself, playing house parties and any bar that would have him. Big Bill Broonzy reached out to Waters and helped him land better gigs; Muddy had recently switched to electric guitar to be better heard in noisy clubs, which added a new power to his cutting slide work. By 1946, Waters had come to the attention of Okeh Records, who took him into the studio to record but chose not to release the results. A session that same year for 20th Century Records resulted in just one tune being issued as the B-side of a James "Sweet Lucy" Carter release, but Waters fared better with Aristocrat Records, a Chicago-based label founded by brothers Leonard and Phil Chess. The Chess Brothers began recording Waters in 1947, and while a few early sides with Sunnyland Slim failed to make an impression, his second single for Aristocrat as a headliner, "I Can't Be Satisfied" b/w "(I Feel Like) Goin' Home," became a significant hit and launched Waters as a star on the Chicago blues scene. Initially, the Chess Brothers recorded Waters with trusted local musicians (including Earnest "Big" Crawford and Alex Atkins), but for his live work, Waters had recruited a band which included Little Walter on harmonica, Jimmy Rogers on guitar, and Baby Face Leroy Foster on drums (later replaced by Elgin Evans), and in person, Waters and his group earned their reputation as the most powerful blues band in town, with Waters' passionate vocals and guitar matched by the force of his combo. By the early '50s, the Chess Brothers (who had changed the name of their label from Aristocrat to Chess Records in 1950) began using Waters' stage band in the studio, and Little Walter in particular became a favorite with blues fans and a superb foil for Waters. Otis Spann joined Waters' group on piano in 1953, and he would become the anchor for the band well into the '60s, after Little Walter and Jimmy Rogers had left to pursue solo careers. In the '50s, Waters released some of the most powerful and influential music in the history of electric blues, scoring hits with numbers like "Rollin' and Tumblin,'" "I'm Ready," "I'm Your Hoochie Coochie Man," "Mannish Boy," "Trouble No More," "Got My Mojo Working," and "I Just Want to Make Love to You" which made him a frequent presence on the R&B charts. By the end of the '50s, while Waters was still making fine music, his career was going into a slump. The rise of rock & roll had taken the spotlight away from more traditional blues acts in favor of younger and rowdier acts (ironically, Waters had headlined some of Alan Freed's early "Moondog" package shows), and Waters' first tour of England in 1958 was poorly received by many U.K. blues fans, who were expecting an acoustic set and were startled by the ferocity of Waters' electric guitar. Waters began playing more acoustic music informed by his Mississippi Delta heritage in the years that followed, even issuing an album titled Muddy Waters: Folk Singer in 1964. However, the jolly irony was that British blues fans would soon rekindle interest in Waters and electric Chicago blues; as the rise of the British Invasion made the world aware of the U.K. rock scene, the nascent British blues scene soon followed, and a number of Waters' U.K. acolytes became international stars, such as Eric Clapton, John Mayall, Alexis Korner, and a modestly successful London act who named themselves after Muddy's 1950 hit "Rollin' Stone." While Waters was still leading a fine band that delivered live (and included the likes of Pinetop Perkins on piano and James Cotton on harmonica), Chess Records was moving more toward the rock, soul, and R&B marketplace, and seemed eager to market him to white rock fans, a notion that reached its nadir in 1968 with Electric Mud, in which Waters was paired up with a psychedelic rock band (featuring guitarists Pete Cosey and Phil Upchurch) for rambling and aimless jams on Waters' blues classics. 1969's Fathers and Sons was a more inspired variation on this theme, with Waters playing alongside reverential white blues rockers such as Mike Bloomfield and Paul Butterfield; 1971's The London Muddy Waters Sessions was less impressive, featuring fine guitar work from Rory Gallagher but uninspired contributions from Steve Winwood, Rick Grech, and Georgie Fame.